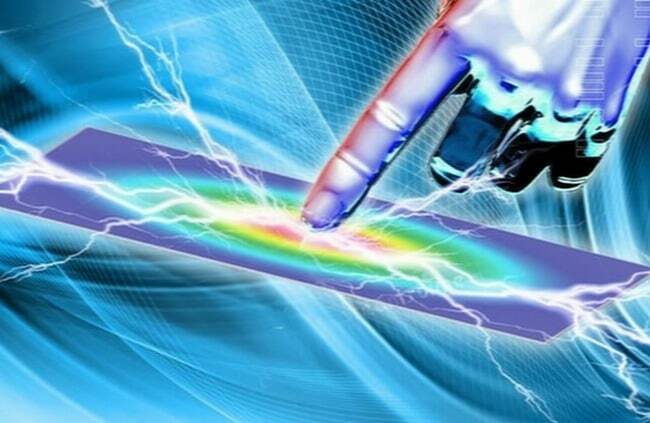 With the demands on new generation tablet and smartphone devices ever higher, electronics giant Samsung has sunk a sizeable chunk of money into the innovation of a new touch technology that uses finger touches to generate electricity and power the device! This new technology, being developed at Penn State University, is in its infancy but it shows enormous promise and current estimates are that it could generate as much as 40% of the electricity needed by tablets and smartphones. What this means is that simply using your smart device – tapping and swiping the touch screen as per usual – could generate sufficient electricity to keep your device going for much longer, thereby reducing the demand for coal-powered electricity. The research is considered a leap in the direction of the hunt for innovative ways to generate energy using “mechanical” means, rather than the traditional planet-punishing coal-powered methods. Other examples of “mechanical energy” would be using the ocean waves, the wind or even the moving wheels of a vehicle or the everyday movement of humans to generate electricity. This new touch screen technology is fundamentally based on a concept called the “piezoelectric effect,” which is the ability of particular substances and materials, whilst under some kind of mechanical stress, to develop an electric charge. This stress could come in the form of distortion, twisting or, in the case of the new technology being developed at Penn State, finger compression. The problem with this phenomenon is that it tends to work most efficiently and productively at high frequencies, which are, unfortunately, not all that common in nature. As such, it is the core focus on the new research project to address this particular challenge: “Our concept is to specifically design a way to turn low-frequency motion into electricity,” says Qing Wang, electrical engineering professor and lead researcher. The outlook for this new touch screen technology is highly promising and the researchers at Penn State University truly believe it could be the start of a scalable energy harvester that could power and drive next generation tablets and smartphones. Of course, there is much work to still be done: the concept needs to be further developed, improved and refined and then finally integrated into actual tablet and smartphone devices. The device itself used to harvest energy from the mechanical pressure exerted by a user’s finger is both lightweight and flexible, according to Professor Wang, which makes it all the more compatible with today’s (and tomorrow’s) communication devices. “When incorporated into a next-generation smart phone, we hope to provide 40% of the energy required of the battery. With less demand on the battery, the [battery] safety issue should be resolved,” says Wang. All of us in the touch screen technology field will be keeping our eyes on this innovation.